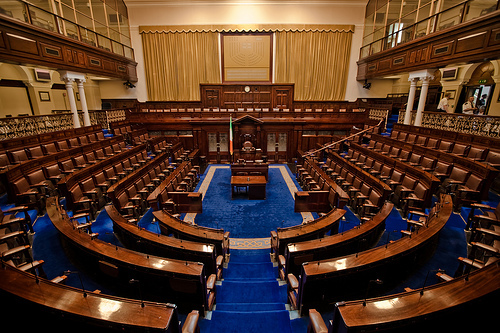 While it is right that the focus of the Seanad referendum debate should be on the role and position of Seanad Éireann itself, there are 40 amendments to the Constitution which are proposed in the Bill and which do more than just abolish the Seanad. They result in collateral damage which affects, in particular, the positions of judges, the Comptroller and Auditor General, the President and the people. Currently, judges of the High and Supreme Courts and Comptroller and Auditor General can only be removed by resolutions of both Houses of Parliament, according to Articles 35.4.1 and 33.5.1 of the Constitution. According to the proposed amendment, the Dáil alone would be capable of removing a High Court or Supreme Court judge or the Comptroller and Auditor General, on the basis of a two-thirds majority. This potentially weakens the structural independence of those office-holders. The position of the President is more seriously affected by the proposed amendment. Currently, Article 12 of the Constitution provides that to remove a President from office for “stated misbehaviour”, there is a two-step procedure, involving both Houses of Parliament. At the first stage, what is needed is a written proposal to investigate the President signed by thirty members of one of the Houses of Parliament, and then adopted by two-thirds of the members of that same House. Under the current arrangements, the other House runs the investigation. After the investigation, that second House must vote with a majority of two-thirds in order to have the President removed from office. By international standards, that is a relatively easy method of removing a Head of State. In other countries, the test is not simply “stated misbehaviour” but rather high treason, bribery, attempting to pervert the course of justice or overthrow the Constitution, with or without a catch-all such as “high crimes and misdemeanours”. Moreover, impeachment processes often involve the highest court investigating the allegations against the President as a matter of law, and sometimes allow for the matter to be referred back to the people in popular referendum. Nonetheless, at least in the model that we currently have, the President is guaranteed that the principles of natural and constitutional justice; in particular, the rule against bias, nemo iudex in causa sua, is adhered to. 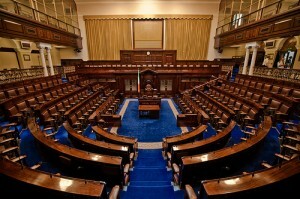 The changes proposed in the amendment mean that while the two-step process remains, it is carried out entirely by the Dáil, with a four-fifths rather than a two-thirds majority required at both stages. 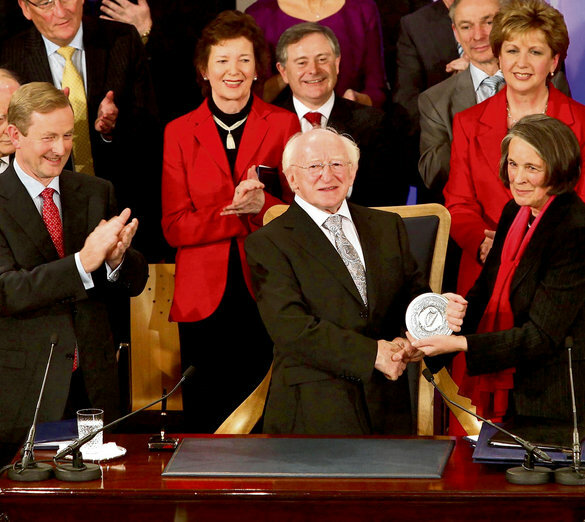 In this model, the Dáil becomes the accuser, the prosecutor, the investigator, the judge and jury, and the one who executes judgment removing the President from office. The closest precedent is the Heneghan case, in Carroll J set aside the dismissal of a fisheries inspector because the same person had been involved in the dismissal process as “witness, prosecutor, judge, jury, and appeal court”. Under the terms of the proposed, Dáil Éireann would similarly be acting in both an accusatory and an adjudicatory capacity in respect of the same decision, having either prior involvement in the decision or effectively prejudged the decision because of its involvement at both stages. Either of these gives rise to a reasonable suspicion that the President would not be afforded the fairness in procedures that he deserves according to the requirements of the rule against bias. In a nutshell, by the terms of the proposed amendment, the basic standards of natural and constitutional justice which would apply to anybody else in the country were they to find themselves facing disciplinary action in the course of their employment would not apply to our Head of State. If the amendment is accepted by the people in referendum, it becomes part of the Constitution, even though it is out of line with the basic principles of constitutional justice, as well as international standards. Naturally, we hope that this is a purely theoretical problem; that there would never be a reason to impeach a President. However, since the Constitution has a procedure for dealing with that unlikely event, it should be that that procedure is itself unimpeachable. To the contrary, the procedure contained in the proposed amendment is not above reproach. The final kind of collateral damage to be addressed is the collateral damage to the position of the people in the legislative process. Currently, the Constitution envisages in Article 27 that the people should have a role in the promulgation of ordinary legislation when that legislation is of such national importance that the will of the people should be ascertained. This procedure has not been used to date, although its potential use was mooted during the summer in the context of a controversial piece of legislation. The proposed amendment deletes Article 27 altogether. It is unclear why this was the course of action the government favoured but it is an unnecessary deletion because while Article 27 involves the Seanad, it is by no means dependent on the Seanad. There was certainly scope for a more imaginative alternative whereby the popular referendum on important legislation could be initiated by a certain number of county councils or a certain number of councillors or even a certain number of registered voters. If the Government wanted to abolish the Seanad but still ensure that there was a check on the power of the Dáil, and still some role for the people in the legislative process, these kinds of creative solutions were available to them. These solutions would also be consistent with developments in other jurisdictions were citizen’s initiative procedures and petition and initiative procedures are becoming increasingly popular. It is unnecessary to assume bad faith on the part of anybody; in fact one could go so far as to say that it is logically implausible to impute bad faith to anyone in the current government, since even if the referendum is successful none of the changes will be in place until after the next election. Nonetheless, the structural effects of the proposal to abolish the Seanad causes are such that they cause collateral damage which affects the positions of judges, the position of the Comptroller and Auditor General, the office of the President and the place of the people, all of whom lose ground to the gain of the Dáil and the gain of the Government. Those structural effects and that collateral damage are also worthy of our attention. This entry was posted in Oireachtas, President, Referendum, Seanad. Bookmark the permalink.